What is Coppélia-The Summer Ballet Intensive ? Coppélia-The Summer Ballet Intensive is for students who want to develop a greater understanding of a traditional classical ballet by encompassing artistry, musicality, technique and mime to excel further in their artform. The Intensive offers additional training in ballet technique, character dancing , body conditioning and choreography to widen their skills in performance and musicality. While taking their ballet skills to the next level, they will also work as a team to perform an extract from Coppélia , a comic ballet originally choreographed by Arthur Saint-Léon to the music of Léo Delibes on the final day of the Intensive. Where: HQ Studio, The Lewis Foundation of Classical Ballet, Ulsoor. If you are looking to achieve new milestones in your ballet technique and gain a broader understanding of ballet, this Intensive is for you. You can be part of a team working to put together a performance, get a well-rounded understanding of the artform, and feel inspired to continue ballet. Students, aged between 7 to 18 years old,who already have some ballet experience can register for the Intensive. Girls : Leotards, pink ballet tights, ballet skirt and ballet shoes. Hair tied neatly in a bun. Boys: Ballet shoes, a white or black t-shirt /vest and black tights. It is based on two stories by T.A. Hoffman – The Sandman and The Doll. It premiered in 1870. Modern day productions are usually based on the version choreographed by Marius Petipa in the late 1800s. Swanhilda and her friends find themselves in a large room filled with people. However, the occupants aren’t moving. The girls discover that, rather than people, these are life-size mechanical dolls. They quickly wind them up and watch them move. 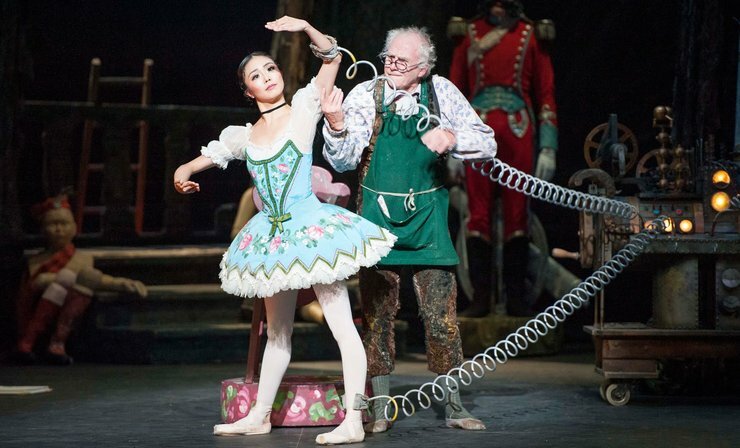 Swanhilda also finds Coppélia behind a curtain and discovers that she, too, is a doll. Dr. Coppelius returns home to find the girls. He becomes angry with them, not only for trespassing but for also disturbing his workroom. He kicks them out and begins cleaning up the mess.